We have a major fruit fly issue in our house. 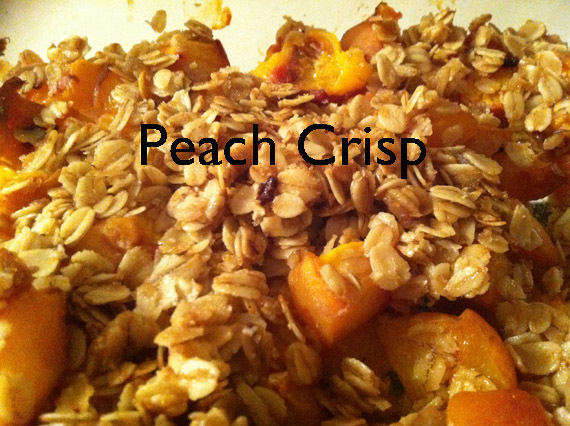 To remedy the situation, I decided to make Peach Crisp to use up our remaining peaches. We made homemade vanilla ice cream in our new ice cream maker to go with it. Layer peaches in a baking dish. Melt butter in the microwave. Add oatmeal and brown sugar and stir to combine. Sprinkle the oatmeal mixture over the peaches. Bake at 350 for 30 minutes. Nary a Wary Cause for Cassowary! Anna and Maya Go To Kindergarten!